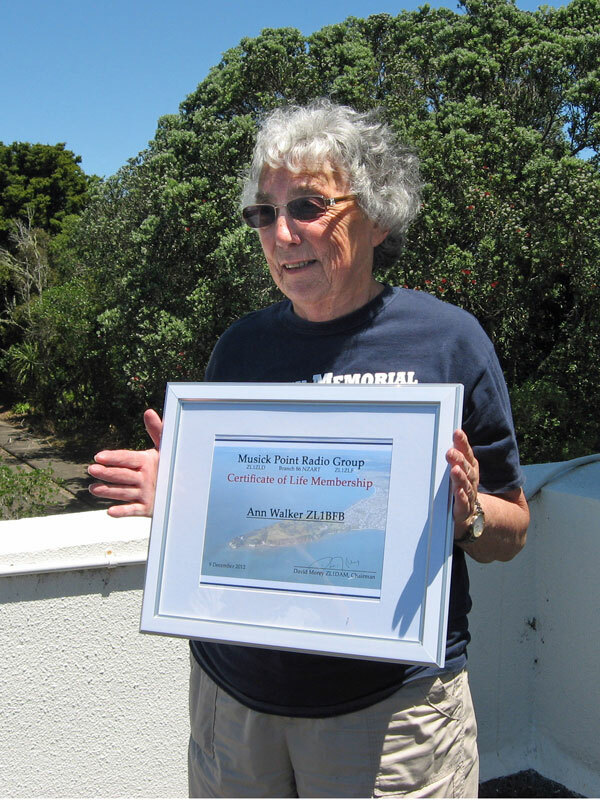 Members vote to change the group’s name from Suburban Amateur Radio Club to Musick Point Radio Group. A new rotator was purchased for the west tower. 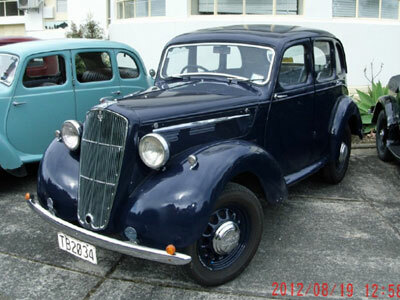 The group appointed ZL1NZ to be webmaster. Gareth ZL3VP from Christchurch dropped in at Musick Point for the 13 May 2012 meeting. 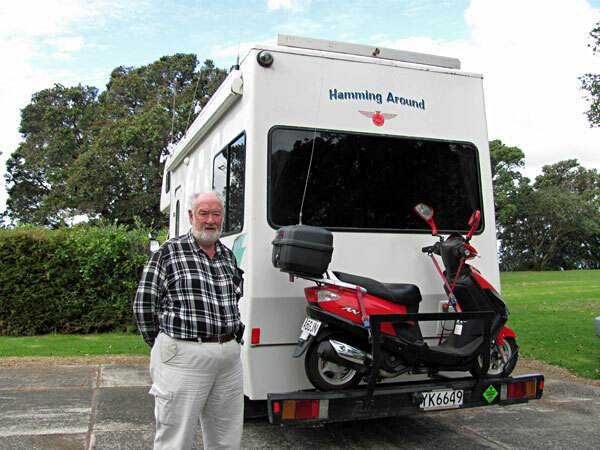 Gareth is captain of the mobile ham station “Hamming Around”. 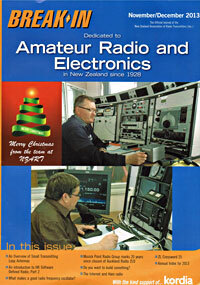 More than 30 radio amateurs from Waikato, Wahi and Hibiscus Coast visited Musick Point Radio on 17 June 2012. 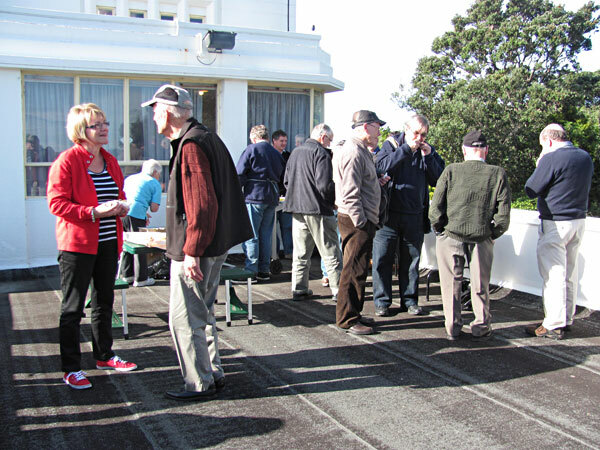 Special events included a D-Star forum with Icom NZ and the traditional MPRG barbecue on the promenade deck. 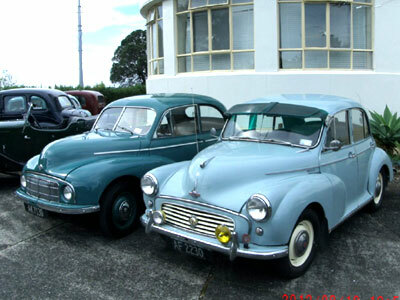 Members of the Morris Car Club visited Musick Memorial Radio Station on August 19, 2012. Dave ZL1ADR and Grant ZL1GKB were guest speakers at the 14 Oct meeting. 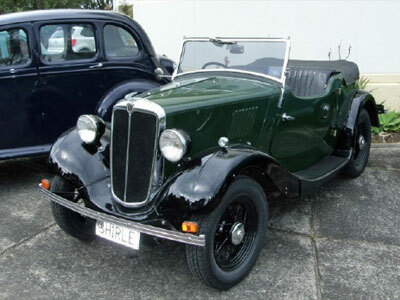 Former NZPO telegraph technicians, they spoke about their work with Creed teleprinters in the 1970s, including the occasional trip to Musick Point to service Creed equipment at Auckland Radio ZLD. 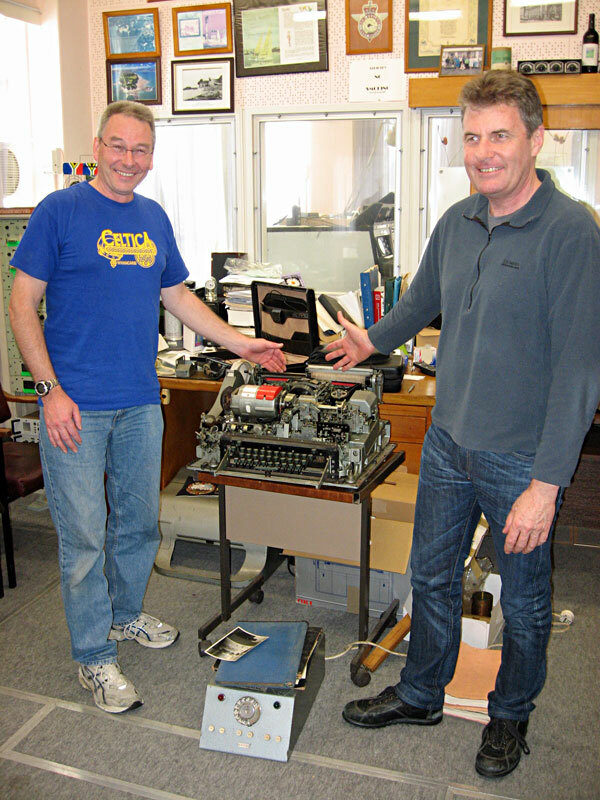 Dave ZL1ADR and Grant ZL1GKB with Dave’s Creed 54 teleprinter. 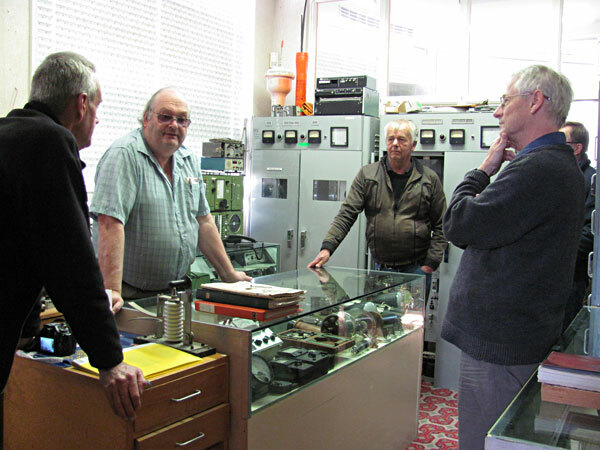 On the floor is a ‘Number 2 Unit’, containing the dialer and power supply (-80V and +80V) for the teleprinter. 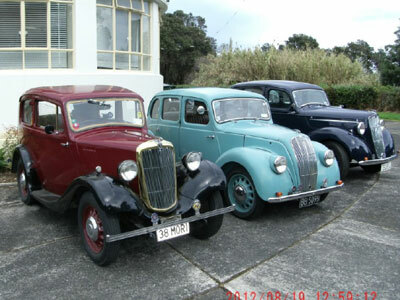 Musick Point Radio Group meeting, 14 Oct 2012. 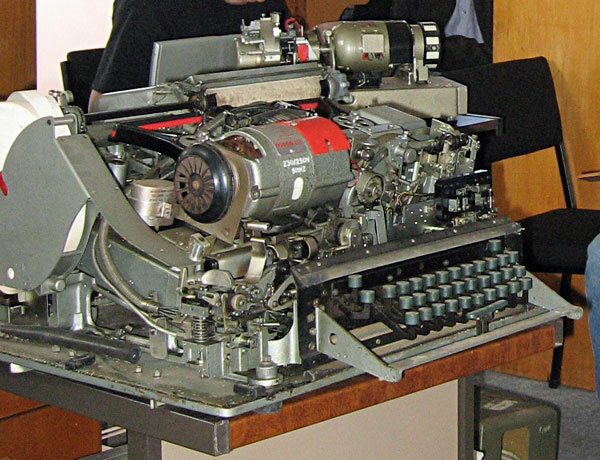 Creed 54 teleprinter – a marvel of mechanical engineering. 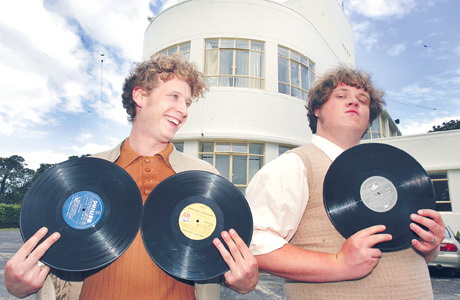 Musick Point Radio Group meeting, 14 Oct 2012.